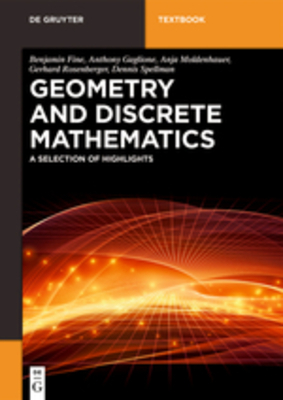 This collection features books and book contributions written by faculty in the Department of Mathematics at Fairfield University. Book description: Cryptography has become essential as bank transactions, credit card infor-mation, contracts, and sensitive medical information are sent through inse-cure channels. 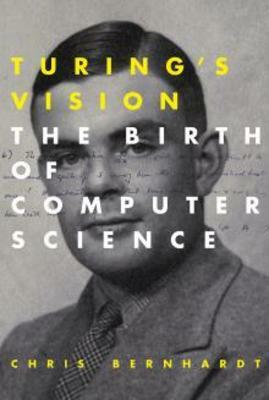 This book is concerned with the mathematical, especially algebraic, aspects of cryptography. 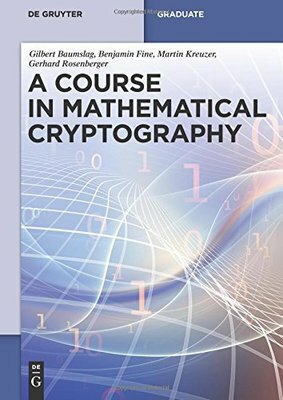 It grew out of many courses presented by the authors over the past twenty years at various universities and covers a wide range of topics in mathematical cryptography. It is primarily geared towards graduate students and advanced undergraduates in mathematics and computer science, but may also be of interest to researchers in the area. 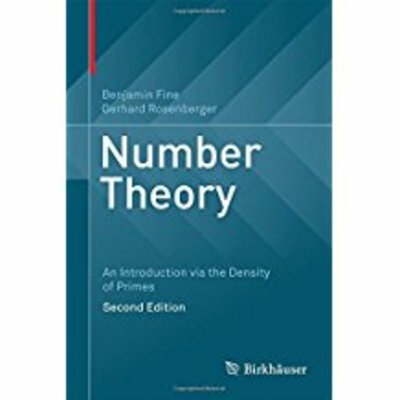 Book description: Now in its second edition, this textbook provides an introduction and overview of number theory based on the density and properties of the prime numbers. 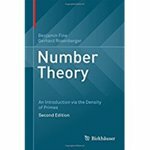 This unique approach offers both a firm background in the standard material of number theory, as well as an overview of the entire discipline. All of the essential topics are covered, such as the fundamental theorem of arithmetic, theory of congruences, quadratic reciprocity, arithmetic functions, and the distribution of primes. New in this edition are coverage of p-adic numbers, Hensel's lemma, multiple zeta-values, and elliptic curve methods in primality testing. Key topics and features include: A solid introduction to analytic number theory, including full proofs of Dirichlet's Theorem and the Prime Number Theorem Concise treatment of algebraic number theory, including a complete presentation of primes, prime factorizations in algebraic number fields, and unique factorization of ideals Discussion of the AKS algorithm, which shows that primality testing is one of polynomial time, a topic not usually included in such texts Many interesting ancillary topics, such as primality testing and cryptography, Fermat and Mersenne numbers, and Carmichael numbers The user-friendly style, historical context, and wide range of exercises that range from simple to quite difficult (with solutions and hints provided for select exercises) make Number Theory: An Introduction via the Density of Primes ideal for both self-study and classroom use. Intended for upper level undergraduates and beginning graduates, the only prerequisites are a basic knowledge of calculus, multivariable calculus, and some linear algebra. All necessary concepts from abstract algebra and complex analysis are introduced where needed. Benjamin Fine is a contributing author, "On secret sharing protocols" with Chi Sing Chum, Anja IS Moldenhauer, Gerhard Rosenberger, and Xiaowen Zhang. 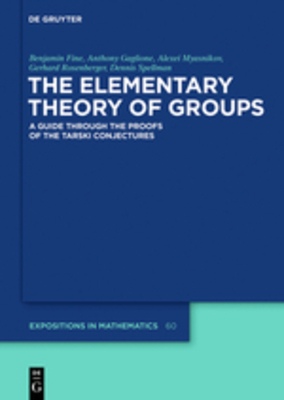 Book description: This volume contains the proceedings of three special sessions: Algebra and Computer Science, held during the Joint AMS-EMS-SPM meeting in Porto, Portugal, June 10-13, 2015; Groups, Algorithms, and Cryptography, held during the Joint Mathematics Meeting in San Antonio, TX, January 10-13, 2015; and Applications of Algebra to Cryptography, held during the Joint AMS-Israel Mathematical Union meeting in Tel-Aviv, Israel, June 16-19, 2014. 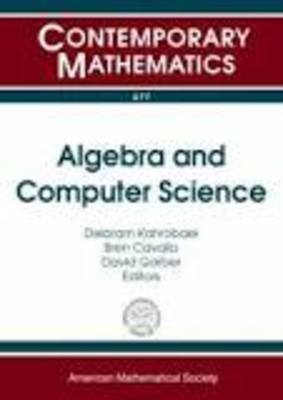 Papers contained in this volume address a wide range of topics, from theoretical aspects of algebra, namely group theory, universal algebra and related areas, to applications in several different areas of computer science. From the computational side, the book aims to reflect the rapidly emerging area of algorithmic problems in algebra, their computational complexity and applications, including information security, constraint satisfaction problems, and decision theory. 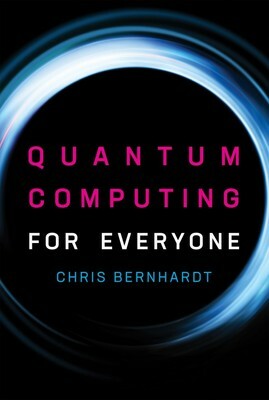 The book gives special attention to recent advances in quantum computing that highlight the need for a variety of new intractability assumptions and have resulted in a new area called group-based cryptography. 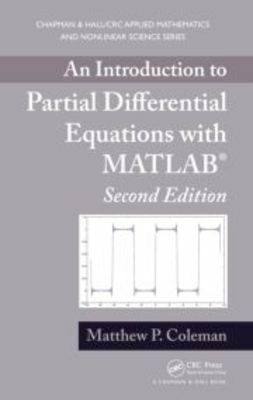 An Introduction to Partial Differential Equations with MATLAB®, Second Edition illustrates the usefulness of PDEs through numerous applications and helps students appreciate the beauty of the underlying mathematics. Updated throughout, this second edition of a bestseller shows students how PDEs can model diverse problems, including the flow of heat, the propagation of sound waves, the spread of algae along the ocean’s surface, the fluctuation in the price of a stock option, and the quantum mechanical behavior of a hydrogen atom. Suitable for a two-semester introduction to PDEs and Fourier series for mathematics, physics, and engineering students, the text teaches the equations based on method of solution. It provides both physical and mathematical motivation as much as possible. The author treats problems in one spatial dimension before dealing with those in higher dimensions. He covers PDEs on bounded domains and then on unbounded domains, introducing students to Fourier series early on in the text. Each chapter’s prelude explains what and why material is to be covered and considers the material in a historical setting. The text also contains many exercises, including standard ones and graphical problems using MATLAB. While the book can be used without MATLAB, instructors and students are encouraged to take advantage of MATLAB’s excellent graphics capabilities. The MATLAB code used to generate the tables and figures is available in an appendix and on the author’s website. -- Publisher description.